Bizible provides an integrated marketing attribution platform that helps marketing professionals to form a unified understanding of customer lifetime value and marketing ROI. Bizible aims to link specific marketing data to revenue by connecting CRM, PR efforts, customer support, and ad networks in one space. Bizible was acquired by Marketo in 2018. Bizible is an integrated marketing attribution platform that helps marketing professionals to form a unified understanding of customer lifetime value and marketing ROI. Bizible aims to link specific marketing data to revenue by connecting CRM, PR efforts, customer support, and ad networks in one space. 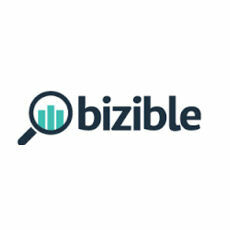 Bizible was acquired by Marketo in 2018. Bizible is excited to announce the release of a first-of-its-kind product to enable high fidelity revenue planning for B2B marketing organizations through machine learning.